This Fall, nine students from the Queen’s University University’s School of Sociology, Social Policy and Social Work in Northern Ireland spent an extremely busy two weeks at CODA, visiting our agency’s sites in Hillsboro, Portland, Tigard and Gresham, and attending afternoon and evening presentations by several experts in our field. This was the inaugural year of the CODA Social Work Scholars Project. 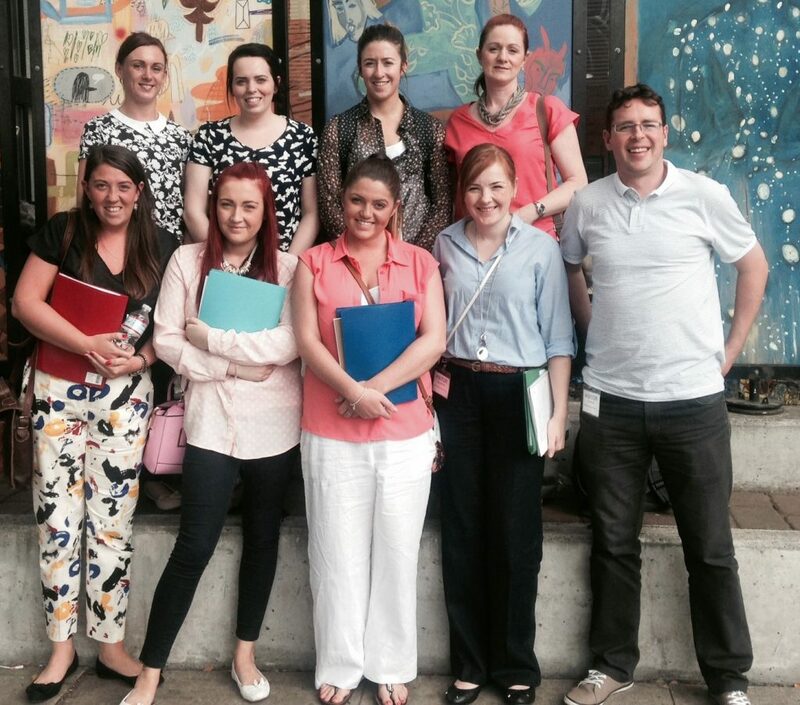 CODA Social Work Scholars toured Outside/In, which serves homeless youth and other marginalized people in Portland. Queen’s University in Belfast sent both graduate and undergrad students, and provided a grant to support the travel and housing in Portland. Dr. Anne Campbell led the group. Typically such programs are more academic in nature. This one promised real-world experience, and a chance for students to learn about some of the best evidence-based treatment in behavioral health. Their interest in what we do is very keen, due to the complex challenges that exist for Social Workers in Northern Ireland. This is what historians of Irish history often call “the Troubles” with a capital T. For generations, Northern Ireland (now part of the United Kingdom, and separate from the Republic of Ireland) lived in turmoil in a situation often likened to our 1950s-60s civil rights movement. Among the many wounds left by this unrest is high unemployment and chronic substance use problems stemming from such widespread post-traumatic stress disorder. The students were fascinated by the work done at CODA, particularly the use of addiction medicines, the emphasis on individualized care, and the creation of safe environments in which group counseling is open and productive. Our Dispensary, Outpatient, women’s and men’s Residential programs with employment, housing and parenting supports and our work with Drug Court were inspiring to them. They in turn brought intelligent observations and questions to the table, making the two weeks a stimulating experience for CODA staff as well.